Travel can be expensive, but as an ESL teacher abroad, you have a unique opportunity to make money while you travel. Depending on where you teach, you may be able to cut your travel costs and save money! 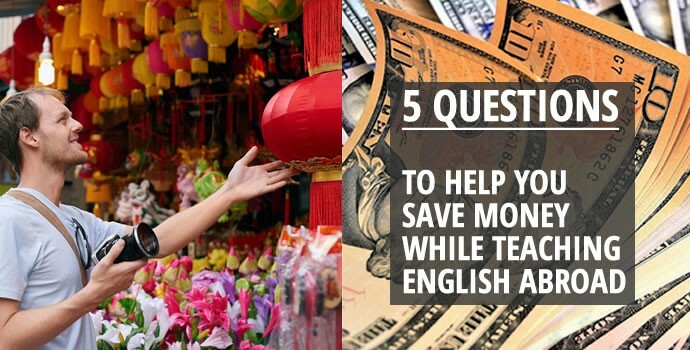 If one of your goals for teaching English abroad is to save money, ask yourself these five questions when you are researching ESL teaching destinations. Whether you’ve just decided to teach English abroad, or you’ve already started applying to jobs overseas, it’s important to think about where you’re actually going to live once you’re abroad. This is especially true if you’re hoping to save a bit of money. 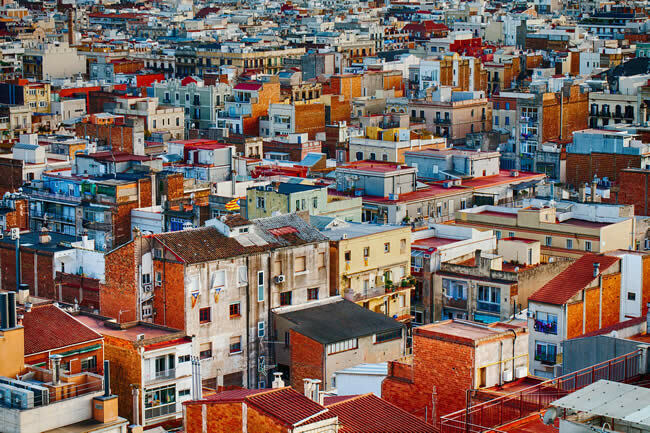 Housing varies widely around the world, and depending on where you decide to teach ESL, your options will vary as well. The good news for the frugal ESL teacher is that you may be able to find a teaching contract that covers or subsidizes the cost of your housing. With housing costs paid by your employer, you may only be responsible for utilities and internet, leaving you with a lot more money at the end of the month. What exactly is included will be outlined in your contract when you accept an ESL teaching position abroad. The school’s ability to pay for your housing will depend on the country you’re teaching in and the school itself. 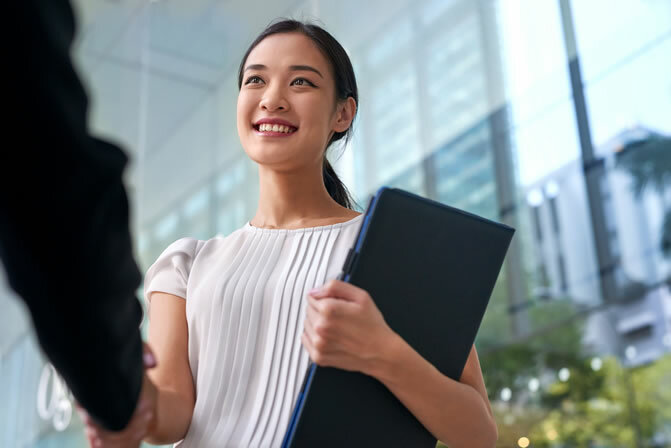 ESL teaching positions in countries like China and South Korea often include housing in their contracts, and positions that do not include housing may compensate with a higher salary. The cost of airfare is another important expense to keep in mind when you’re looking for English teaching jobs abroad. 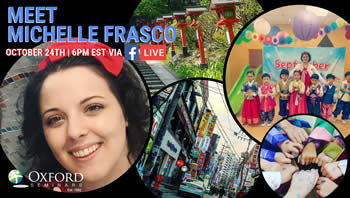 If airfare is included, it can be another great way to save money while teaching ESL overseas. Much like accommodations, some ESL teaching contracts may include full or partial airfare reimbursement once you arrive in the country. If a school pays as a reimbursement once you arrive, it’s important to save enough money to afford the cost of your tickets prior to going abroad. While every teaching contract is different in terms of what it can offer, teaching contracts from China, Hong Kong, Kyrgyzstan, and South Korea often include full or partial airfare reimbursement for their teachers. How much money you make teaching ESL abroad depends on a wide variety of factors, including your qualifications, where you are teaching, and the school itself. Like any job, your salary often depends on the qualifications you bring to the position. If you have higher qualifications such as a Master’s degree, you may see a higher salary than a less qualified candidate. Another salary factor to consider is where you are teaching. Countries and regions with more competitive ESL teaching markets may offer higher salaries for their teachers, while areas with less competition may offer lower salaries. While earning a high salary in more competitive areas can be great, more competitive regions such as major cities often have higher costs of living as well. It’s important to balance both these factors when deciding on your ESL teaching destination. Check out our Where You Can Teach page to see salary ranges for over 50 different countries. 4. Is income tax low? The amount of income tax you pay while you teach ESL overseas will depend on where you teach and how much money you earn. You could be paying far less in income tax than you would at home, or it could be comparable. Research your top ESL teaching choices and see what percentage of income tax you’d be paying in each one. This way you can compare the different rates and factor these into your saving goals while you are teaching and traveling abroad. In many ways your cost of living will depend on you. Do you budget and save or do you like to shop and splurge? Regardless of what kind of spender you are, here are some easy ways to cut down on your spending while you are teaching abroad. Save on your food bill by trying local food and shopping at local markets or grocery stores. Local food is often cheaper than North American or Western themed food, so save Western food for when you really need a taste of home. Making local food your main “go-to” for meals also allows you to expand your horizons and take in more of your host country’s culture. You may even pick up some new cooking skills. Another great way to save is by learning some of the local language and getting to know your area. If you know the city you’re living in and know how to read the signs and transit schedules, you can save some money by using public transit, walking, or riding a bike; much cheaper than taking taxis everywhere! A third option to save on your living expenses is to resist shopping. 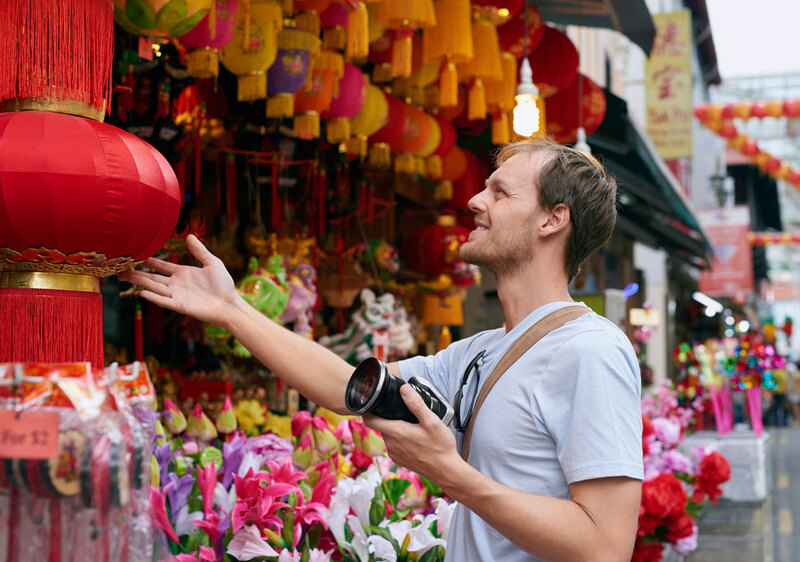 Buying too many souvenirs and items you don’t need will quickly burn through your travel money. If you think like a backpacker and only buy things you really need, you’ll have more money to pay off loans or fund your travels later. It’s also important to save some money before going abroad. Often there can be a gap between when you arrive in the country and when you receive your first paycheck, as schools require time to set up banking and payroll. Be prepared to save 2 months’ salary before you go abroad to last until your first paycheck. Explore our Where You Can Teach Page for more information about teaching English abroad, and which destinations are right for you!